Yes. It is an important part of the path. Seen from the shamans point of view, the disease can be an initiation or a rite of passage. It starts out with the so called Shamans Disease. 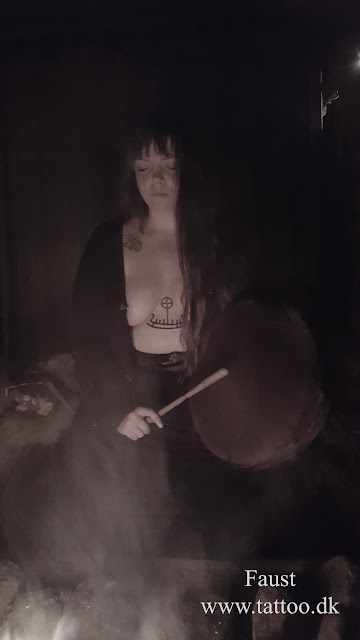 It is the call of the spirits to bring the shaman on the way. It usually happens in young years and can be a severe physical condition of nearly any kind. Significant of the Shamans Disease is, that the regular medicine doesn’t t heal it. First the contact to his or her spiritual path leads to healing and at the same time to a very close and intimate contact to the other worlds and its entities. Still the shaman will go down sick during his worklife several times, due to multiple reasons. There is several cases known, where these spiritual workers gain new healing methods during these periods. So the tribe benefits from the suffering of the shamans in the end, which is anyway a great part of their purpose of existence. As a common circumpolar point of view the shaman is seen not to be able to heal himself or his family. Generally the traditional shaman has no healing power. All power comes from the spirits, the Shaman is just the channel, the connecter or networker. So the sick shaman usually then calls in another Shaman or Udugan from another tribe. In the old belief, Shamans from other or even far away tribes are seen as stronger and more efficient than the local. Why is that? As a good channel you are supposed to be completely open and relaxed, free of judgement. It means, that everything you know about your client is actually more hindering than helping. The foreign shaman will so always be more objective, more likely to transmit pure information, not influenced by local habits or iconography. A very old shamanic technique and an ultimate act of compassion is also to simply absorb the sickening spirit or disease, the very awe inspiring “take one for the team” self-sacrifice. Last but not least it is also a journey to the world of hurt, valuable and receivable with gratitude. Locking in spirits and even keeping other humans in (mental) capture to ensure the supply of energy is not unknown, the pre-buddhist Tibetan rite is worth mentioning here. Those who follow the traditional path are always people who help those around them upgrade their life and gain health and strength. They are ready and willing to go long ways for that as a gift to the clients soul. In fact, even to other, not always beautiful worlds. They leave a trail of happiness and health behind. Although some healing methods are rough and for sure not always pleasant, the final result is usually reconnecting, a help to move on or even complete recovery. Their approach is led by the desire to contribute. Those who loosely collect the easiest and effective methods to gain self-focussed personal energy instead of transmitting it are usually individuals that in some or another way are involved in the downfall or hurt of those surrounding them. For some reason bad luck strikes as soon as they are around. They tell you they love you, that they care for you but their actions are free of compassion or humility, malicious and in best case careless. The general approach here is led by the desire to get the maximum out of it all and their path is framed with hurt and disappointed people. It is hard to have the dark shamans do something for you and they ask for huge amounts of offerings or money. While the tribe is suffering and looses energy, the shamanic acting individual is over average strong, prosperous and of formidable health. Circles close as a multiversal law, so the attempt of healing will always bring health to the individual, like a magnet is always attracted to the iron. On the other hand the attempt to destroy or bring disease will also reconnect with its source- the sending individual.